The Accomplice utilizes the latest in Korean technology to provide the perfect balance of a powerful airflow with the high heat desired by professional stylists. Its 1800-watt AC motor reduces drying time up to 70%, as it ensures low noise and vibration. The inner lining and components of Accomplice have been infused with tourmaline, delivering negative ions and far-infrared heat for smooth, frizz-free results while also reducing dirt and germs to guarantee peak motor performance. The dryer’s advanced technology, in combination with its lightweight, compact body, underscores The Accomplice as the ultimate companion to the professional stylist. -Tourmaline-Infused Ceramic Components - emit far-infrared heat that instantly penetrates the cortex of the hair cuticle, heating from the inside out. The hair is heated evenly and in half the time of conventional heat, reducing the risk of damage. -Gentle and Safe - ceramic heating elements emit far-infrared heat that instantly penetrates the cortex of the hair cuticle, heating from the inside out. The hair is heated evenly and in half the time of conventional heat, reducing the risk of damage. -No-Slip Grip and Lock-In Concentrator - a steady hold at any angle. -1.15lb Dryer with a 1000 Watt AC Motor - ultra-lightweight design and powerful results. 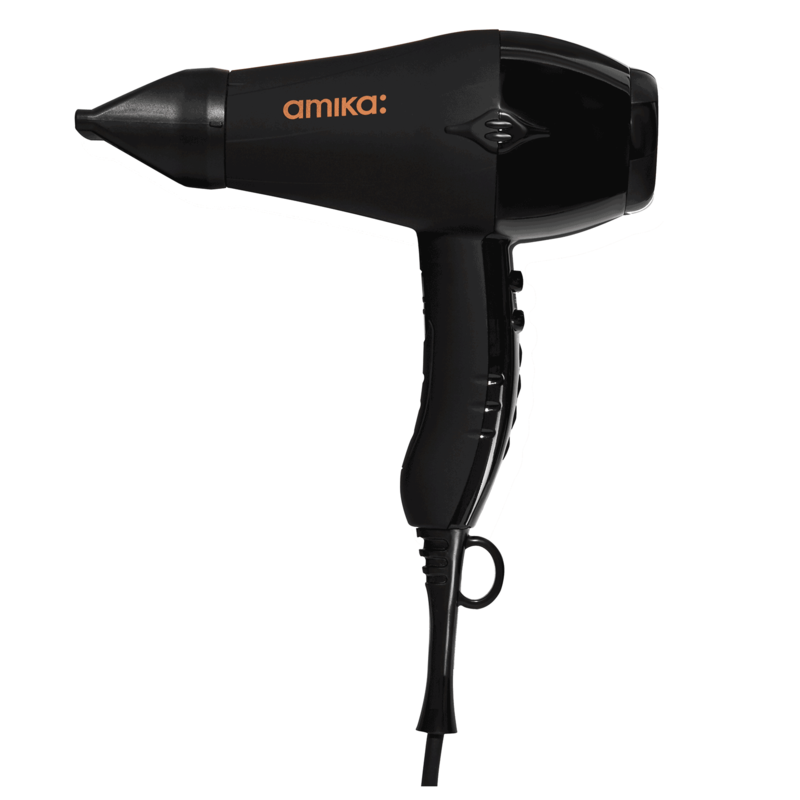 -Two Speeds, Three Heat Settings - for controlled airflow and heat, ensuring amazing results for all hair types and textures. -Ready And Able - an easy grip, 9.8 foot cord made of heat-proof, up to 450ºF (232ºC), fabric and a professional hook makes use and storage simple. 2-Year Warranty - for extra protection. "Dries hair quickly. A good reliable dryer."